BEST VALUE! WE DELIVER TO OXNARD AREA! 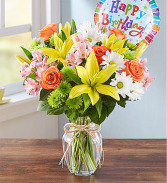 Let Mom & Pop Brighten somebody’s birthday with our beautiful best-selling arrangement. Inspired by the hand-tied bouquets found in European flower markets, this festive gathering of blooms, designed inside a glass vase and tied with raffia, is paired with a cheerful balloon to take their celebration to new heights. 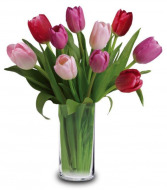 Simply & beautiful these fresh cut tulips arranged in a clear vase send a lovely message for any occasion. 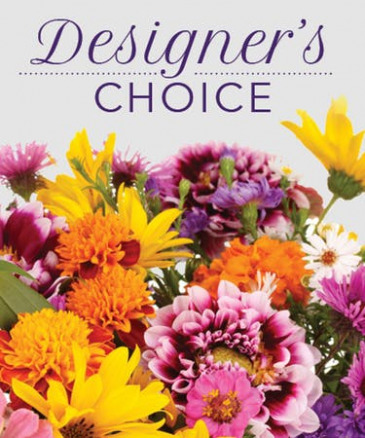 Send this arrangement of 10 multi-colored tulips in Ventura & Oxnard CA today to surprise someone special or "Just Because". Colors vary seasonally. 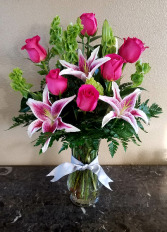 This wonderful arrangement consist of Star Gazers, Pink Floyd Roses, and green filler with ribbon & vase. Custom designed by Mom & Pop.